Hello, SE readers. I would venture there isn’t an author who at one time or another, hasn’t been upset with Amazon and its review policies. However, Amazon will often allow what appear to be trolls to post their scathing reviews—verified purchase or not. And if we protest… Well, let’s say I’ve read horror stories about authors whom Amazon has taken down their books due to various reasons . And even though I shop Amazon more often than any other retailer, I often wonder how much simpler our lives would be without them. I do know they need more competition! Unfortunately, Amazon is the number one bookseller. It’s the place where people go to read reviews of books and other products—even if they purchase the items somewhere else. And we know that authors, particularly Indie authors thrive on reviews. So, what are we to do? Although there isn’t a perfect alternative to Amazon, there I’m going to talk about another option today, Goodreads. 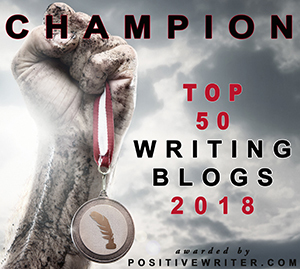 And while this post may be a little elementary for most writers, I’m going to highlight some of the positives. Yes, Amazon owns Goodreads but so far, they haven’t been as strict about who they allow to post reviews. Reviews that have been turned down by Amazon have appeared on Goodreads. All authors should create a Goodreads author page and make sure to list all your books along with the purchase links. The author page is different from a reader profile, although the two are linked together. Link the RSS feed from your blog. Your newest posts will appear on your author page. Readers can also follow you. If you’re not comfortable with “friending” people you don’t know, the follow feature also enables someone to keep up with your activity. Question and Answer section. Readers and fans can ask authors specific questions. There are also generic questions from Goodreads. Private groups. I belong to a couple of Goodreads groups but haven’t created one, so I can’t speak to the pros and cons. However, much like Facebook, you can set the group to Public, Private, Restricted, or Secret. People who join can set their email preferences to receive notices of new activity. As a reader, take a few minutes to post your reviews to Goodreads. Authors thrive on reviews, and you might brighten an author’s day. Let’s face it, we all like to know people read and enjoy our work. And even though your review might be less than favorable, it could help an author to improve on weak areas for their upcoming books. You also have the option of allowing the review to post to Facebook and/or Twitter. How do you use Goodreads as an author? As a reader? Do you check your book reviews there? Leave reviews for books you’ve read? I don’t expect anything to replace Amazon in the foreseeable future, but in the meantime, we can utilize Goodreads as both authors and readers. ← Size Matters: What do you look for in size? “EVIL DIES” by Lupe Abad on AMAZON and Kindle, A True Story! It brought me to tears. A must Read! Hey, Joan. I’ve been on GoodReads for a long time now — almost since the beginning — and for the past two years, have put up even a short review of everything I read. Set the example, right? As far as retailers, though, there are plenty of others out there. Yes, not all of them feature the .mobi format that Amazon’s made proprietary, and that’s part of the battle. The other part? Getting EVERYONE to acknowledge there are other retailers. Powells. B&N — stop buying into the crap that they are failing. If authors teamed up to promote their books at B&N, things would change. Smashwords. Kobo. And a multitude of independent stores. All of them are resources we can and should partner with more heavily (most pay better royalties, too). There’s no reason Amazon has to continue to dominate the market, or have a monopoly — not when the biggest reason they have it is because too many authors and readers throw up their hands and insist there’s no other choice. I agree with you. If everyone teamed together, things would change. My books are listed in Kobo, B&N, and some other retailers. However, most of my sales come from Amazon.And as a consumer? I’m one of those who shops Amazon, so I’m contributing to the problem. Most of my sales, interestingly, come from B&N, and I do almost zero promo for them (they’re OLD). My lowest sales are from Amazon; I think they love me as much as I love them. If you ever want to put a group together to promo at outlets other than the Big A, keep me in mind. (Hell, if you ever want some Goodreads reviews, keep me in mind!) I’m glad to join in, especially as I have some new stuff in the pipeline, and I’m glad to extend any offers to my clients, too. We’re all in this thing together! I was very bummed when Goodreads instituted a $119 fee to do a giveaway. Ebook OR print. It’s hard enough to cover the costs of print, and shipping, to begin with. But I got such good results with my former giveaways, I’m thinking about saving my pennies….Grrrr. $119 does seem a little steep. It seems nothing is truly free anymore. Nice Joan. I post all my reviews to Goodreads and Amazon. A lot of people never think of Goodreads for some reason. I have far fewer reviews on Goodreads than Amazon. Having just lost ten reviews on one book I wish more people would use Goodreads. “Crossing my fingers here.” I haven’t lost any reviews on Amazon (yet) but I do know of at least one person who wasn’t allowed to post a review. Staci lost a lot of reviews on one of her books. No apparent reason – just an Amazon whim. I went from 96 to 86 overnight. No explanation. I have been checking my book The Hartnetts on it a bit but so far I haven’t had any reviews. Should I leave it to chance or is there another way of persuading people to read and review it? I have been telling people about my book and trying to promote it in other ways. Tom, having no reviews is a frustrating situation. There are no guaranteed ways to get reviews. I think most readers just don’t think about it. Others are uncertain as to how to articulate a good review. I put a note at the end of all my books thanking readers and encouraging them to review. If you have a blog or send a newsletter, you might ask readers to review through one of those methods. Wish I could offer more advice. I agree wholeheartedly Amazon needs some competition, but all the sites I’ve tried dry up or get no traffic. Stephanie, you know the saying goes that you haven’t “arrived” as an author until you’ve received a bad review. (Even though it hurts.) It’s a shame that Amazon doesn’t have more competition. I think things would change there if that happened. Then you are way ahead of me! Looking forward to the day I can “retire” from the day job and write full time. Time (or lack thereof) is a big factor for many authors. Glad you to hear you’ve had good experiences. I don’t utilize either platform to their fullest potential. Harmony, I’m so sorry that happened to you. I agree we need a happy medium between the two. I use Goodreads, well i am trying to be more active on it this year. I tend to review what i have read without being too harsh – But i notice that some of the reviewers are extremely brutal and damn right nasty at times. I have witnessed many reviews practically trashing the author on a personal level as well as being terribly rude about a book. It is for me one of the more popular places i go to when wanting to check out reviews or look up an author, but i cant help but stay in my own little when it comes to me interacting with communities. I always say, “If you can’t say anything nice, don’t say anything at all.” I have seen some reviews (both on Goodreads and Amazon) where people attack the author. I have purchased and read books where I can’t leave a positive review, so I just don’t leave one. I think it would help a little bit if Goodreads made a distinction between rating-only and actual reviews, or at least didn’t allow even ratings on a book that hasn’t been published yet. I LIKE that on Goodreads, readers don’t have to prove they’re bought a book in order to express an opinion of it (some of my favorite books weren’t even in print when I reviewed them on Goodreads), but I don’t like how easy it is for people to give “revenge” or “I hate this whole genre” ratings there. Good points, Thomas. Some people just go through and mark things. I wish there was a happy medium between the “not policed” Goodreads and “over policed” (In some cases) Amazon. Amazon once took down almost half of the reviews on one of Staci’s books (with no explanation or reason). Yet they’ll allow vengeful reviews to remain (verified purchase or not). I post all my reviews to both Amazon and Goodreads. I have never had a problem with an Amazon review but I generally don’t know the people whose books I review other than through blogging. I agree that Goodreads is a good place to gather reviews as it has a massive following. I haven’t had a problem so far, Robbie. But who knows with Amazon? I use Goodreads to track and review the books I’ve read. I also have my blog feed there. I like the ease for searching categories (better than Amazon IMHO), but Charles spoke well in calling it the lawless frontier. I’ve known a few people who were burned badly by trolls, so I don’t engage in any of the groups for that reason. It’s a shame, because GR could be a great resource. That is too bad, Mae. I haven’t had that problem (so far) but it would be enough to turn me away. I really like Goodreads, both as a reader and an author. It’s a nice way to keep track of the books we read and see what our friends have read. Reviews can be harsh there–they often seem more like a book-club discussion than a review–but given its more informal atmosphere, that seems reasonable. It’s a shame they started charging for giveaways, but all in all, I’m a big fan of the site. I haven’t done any giveaways but it is a shame there is a charge. And I also use Goodreads as a reader. It is nice to keep track of the books I’ve read. As a reader, I adore Goodreads. It’s an excellent tool for tracking what you’ve read, when you read it, and what you want to read. I also love how easy Goodreads makes it to find similar books to the ones you really enjoy! As a writer…well I can’t comment too much on that, not having published anything myself (yet), but it does also provide some networking opportunities with other writers. You’ll be published someday, Rebecca! And I agree with you about the reader aspect of Goodreads. Joan Hall makes some excellent points about Goodreads reviews on Story Empire today. I’ve setup my author profile on Goodreads, but unless someone messages me, I rarely go there anymore. As Staci mentioned, it has the ability to be a fantastic platform, but it falls short, IMHO. To really make Goodreads work for authors they need to put in a lot of time on the site, time better spent writing more books. Sue, wouldn’t it be wonderful if all we had to do was write? Forget all the social media, promotion, and other aspects of being an author. But such is not the case. We need to make our presence known. I’ve been trying to be more active in groups, especially the YA reading groups, but it hasn’t been a priority. Like Staci said, they say to go where the readers are, so maybe I should make more of an attempt. Teri, I think with any author, they need to find their niche and places where their readers are. For some, it’s blogging, others Twitter or Facebook, but Goodread does seem to be a good place to attract new readers. I thought this would be the year I used Goodreads more, but a quarter of the way through, and I haven’t. They say to go where the readers are, and that’s GR, especially when Amazon screws with authors so much. But because GR doesn’t police the site like Amazon does theirs, people can be brutal. So I’ve been pretty hands-off so far, and probably will be until I figure out the intricacies. I do have GR links on my self-hosted site, and I’ve used it on my free WP site, although I removed it in favor of a different option/look. I’m interested in the giveaways, but like you, I haven’t explored that option yet. Good post. I’m not real active there, but I have everything set up, and my blog feeds there. I always post my reviews there too. That’s about what I do there. Blog feed, upload my books and post reviews. It has the potential for so much more but not without its problems. Check out this great post from the Story Empire blog on the topic of Goodreads. I’m on there a little, but I remember it being like the lawless frontier. So much review padding and flame wars. Seems somewhat quieter these days. I heard you can’t do giveaways now. Is that true? Charles, yes you can do giveaways on Goodreads, although I haven’t done one. Looks expensive from what I’m saying. Thought they were free, but guess that changed. Yes, apparently they charge now. It’s a shame.